Albemarle County is one of the most beautiful and scenic areas of Virginia. It is also very large and has a population of approximately 110,000 people. Albemarle county surrounds the City of Charlottesville. While Albemarle county is a rural community there are many neighborhoods that are located close to the City of Charlottesville . The homes for sale in Albemarle county vary from townhomes and condos to single family homes . 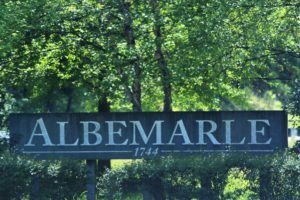 Although the landscape of Albemarle is made up of rolling hills there are still many different homes for sale in Albemarle County that are residential neighborhoods and developments to be found. Many people tend to really enjoy the open spaces between each house and there are many homes for sale in Albemarle County that are on acreages from 2 to well over 100 acres. Also, one amazing quality of Albemarle county is you are getting the country feel while only a few minutes from the city of Charlottesville. Overall, Albemarle County is a beautiful place to live with great schools. It is a community that has so much to offer and the quality of life here has been written about in many well known publications.